De Brownsberg en Ston Island (stuwmeer) binnenland tour! Now go inland and discover the impressive Brownswerg. Admire the nature at its best and catch piranhas on the reservoir. Brownsberg is the most popular destination of the Surinamese interior. On this website you will find all sorts of information about the activities that you can do and the reservoir (Ston Island). You can book your trip through this site and enjoy the interior of Suriname. 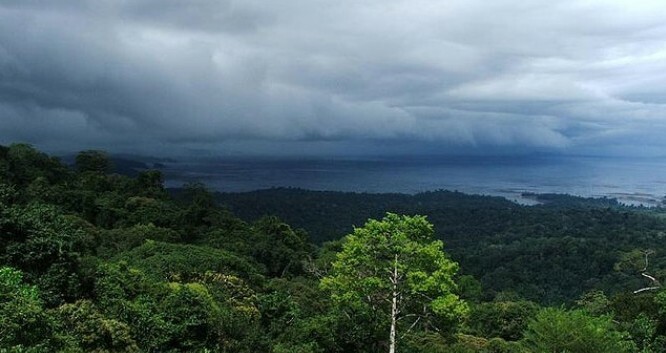 Brownsberg nature park is located in the district of Brokopondo 112 kilometres south of Paramaribo. Brownsberg protrudes approximately 500 metres above the surrounding jungle and is 12,200 hectares in size. Brownsberg is part of the Amazon basin, the largest rainforest on Earth. In this free nature there is a rich variety of animals. Of snakes to monkeys and frogs to boars. These animals you can encounter just in the nature reserve Brownsberg. For the nature lovers Brownsnberg is a real attraction. In the Brownsberg area there are small creeks that lead to waterfalls. Here you can also take a refreshing dip in the water. 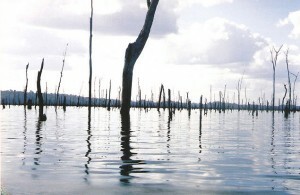 The reservoir is a lake that originated in the 1960s. There was a part of the forest, about as big as Utrecht, put under water. This is done to form a dam so that there could be excited by hydropower energy. With this energy bauxite could be processed . In this reservoir you can still see the treetops protrude, these trees are not cut down due to money savings. In the reservoir there are piranhas and also there are growing plants. So threatened the water hyacinth in the years 60 ´ the functioning of the dam. It is therefore very impressive to sail between treetops and water plants.